Hi, Are the sides of the box open or plastic throughout? 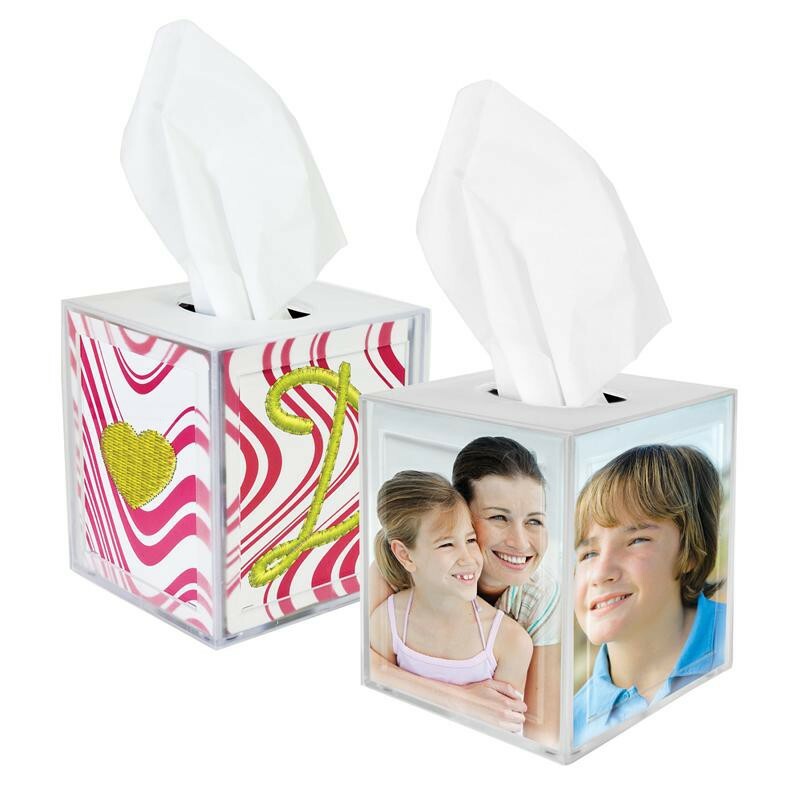 All sides of the tissue box are covered in plastic so both the actual tissue box and your photos/inserts are protected. The inner plastic liner protects the tissue box and an outer plastic shell that protects your photos.